VANCOUVER, B.C. 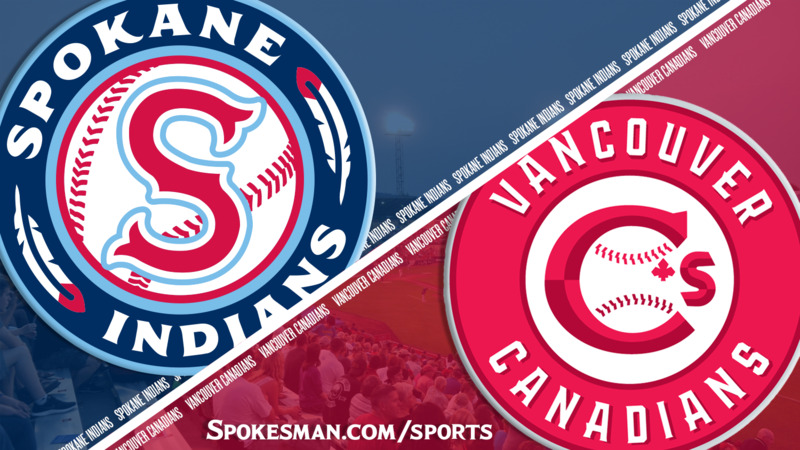 – Christopher Bec delivered a two-run home run and the Vancouver Canadians (13-12) beat the Spokane Indians (8-17) 3-0 in the last of a three-game Northwest League series at Scotiabank Field on Monday. The Indians lost their fourth in a row overall and are now 0-11 on the road. Vancouver won its fifth consecutive game. Spokane starter Hans Crouse had an easy first inning. The big right-hander recorded a couple of fly ball outs and got some help with his defense, as Isaias Quiroz threw out Vinny Capra trying to steal. The Indians went six up and six down against Vancouver starter Jose Espada. In the bottom of the second inning, Crouse went to a 2-2 count to Vancouver cleanup hitter Griffin Conine and the skies opened. Crouse was given the rest of the game off after the one-hour, two minute rain delay. Cole Uvila took over for the Indians and struck out Conine on one pitch, then completed a 1-2-3 second inning. Uvila pitched into the fifth and did not give up a run while allowing two base runners on a walk and hit by pitch. The 6-foot-4 reliever struck out five over 3 1/3 innings. Uvila struck out Jake Brodt to start the fifth inning, then was relieved by Chandler Sanburn. Sanburn walked Bryan Lizardo on a 3-2 pitch, then Bec clubbed one that just stayed fair down the left field line for a two-run home run. Sanburn and Sean Chandler combined to give up a run in the bottom of the sixth inning before the second rain delay. Published: July 9, 2018, 10:34 p.m.